The internet allows us to connect and stay connected with people from our neighbors to friends we met when on vacation in Europe last summer. But it can also be a place where your identity may be tampered with, if you are not being careful enough online. According to Javelin, identity fraud victims have increased by 8% in 2017, netting $16.8 billion from about 16.7 million U.S. consumers. Identity thefts are constantly perfecting their tactics and finding new ways to trick people. Not to worry! Prilock has a few tips to keep your identity safe and secure online. Since your password is your first line of defense, it would be in your best interest to set up a strong, unique password for each and every account. This makes it difficult for hackers and their malware to guess it. If your password ever does get uncovered due to a data breach, it won’t give hackers access to all the accounts you have. 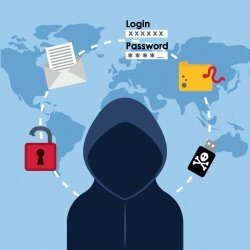 A password manager, such as Lastpass, is a great way to secure all your unique passwords according to The Tech Guy, Leo Laporte. Our Prilock advice is to use a phrase that you can replace the word with a number or symbol, using just the first letter of the word in your phrase, and WOALA you have a secure password! It is important to install updates and patches as soon as they are released. These keep your systems with the latest features as well as keep your computer safe. Usually, these updates are to fix security bugs and issues. Keep an eye on all your apps, smart appliances, and router for updates. In a generation of oversharing, people check in to restaurants on Facebook, post photos with details about their life on Instagram, Tweet about this or that. Innocent sharing isn’t thought twice about, but to a hacker, this information can be used against you. Most people check their accounts once or twice a month, but how often are they looking through, line by line, each credit and debit? If strange activity has occurred on your account, the earlier you catch this the better. Banks can usually assist with fraudulent transactions that happen within 24 to 48 hours. Check with your bank for specifics. These are just a few things you can do to secure your digital life. Prilock’s Security Awareness Training provides much more advice. A lot of important, sensitive information is online these days, are you doing everything you can to protect it?